Greater Palm Springs 2019: Register Early for Best Price! Register early to secure your spot at ANN's Spring National Advanced Practice Neonatal Nurses Conference, May 29-June 1, Hyatt Regency Indian Wells, Greater Palm Springs. Click here for program details and to register. NAS Resource Center. 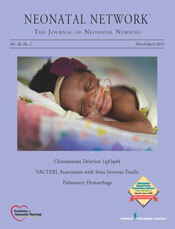 Your go-to source for information on infants with NAS. Guide to NICU Care. Benefit for ANN members. Guide to Neuro Care. Limited access for non-members. Professional Development Hub. Benefit for ANN members. The latest in this series of free CNE activities, An All Human Milk Diet is now available to both members and non-members. Please check back regularly for new free offerings.